Look, look… a FREE book! If you’re especially observant, you will notice a new page tab at the top of this blog with the title “FREE BOOK.” This is not a gimmick. Last year I published a book through Lulu.com entitled Worship from Genesis to Revelation. This book was the culmination of more than two years of study and preaching on the continuity of the message of Scripture regarding worship. Working through each book of the Bible in order, the goal was to present the flow of Biblical teaching on the subject, noting both the development of God’s principles for worship, and the unchanging elements that undergird worship in every age. The result was a 622 page book, which has sold over 100 copies to date. It’s still available in either hardcover or paperback editions on My Storefront at Lulu.com for those who would like to purchase it, but I wanted to make the content available here as well, because I think the subject matter is urgently important. These comments from John Calvin are rooted in the Regulative Principle of Worship (RPW), which holds that the worship of the Holy God is defined by Himself, by explicit command or plain example, in His infallible Word. It is not the prerogative of men to determine what rites or activities are acceptable or desirable in the worship of God. Divine precept, rather than human presumption, is to be the rule for determining what is to be done, and what is not to be done, in drawing near to pay homage to the living God. The theological rationale behind the RPW has been variously set forth by its many proponents throughout the history of the Church. Most trace the positive necessity for it to God’s jealousy for His own glory, and His divine authority, which gives Him the right to determine how He is to be approached by His creatures. Negatively, the need for the RPW is generally couched in terms of sinful man’s unfitness to draw near to God and his tendency to pervert God-centered worship by turning it into man-centered idolatry. These are all legitimate and important considerations. There is a fundamentally more important aspect to the issue, however, that is rarely emphasized but which lies at the very heart of worship and its divine regulation. That aspect is the relationship of worship to the Gospel. The fall of man into sin had a profound effect upon the relationship between the creature and the Creator. Prior to his rebellion, Adam had direct communion with God. The effect of Adam’s sin was a breach between himself and the Holy God. No longer could he face his Creator without shame or fear of condemnation. The fundamental effect of sin upon the heart of man was the transformation from a God-centered to a man-centered perspective. Sin’s corruption polluted every part of his nature, rendering man both unfit and unwilling for fellowship with God. The prescribed penalty for transgression of God’s command regarding the fruit of the tree of the Knowledge of Good and Evil was death. By his deliberate disobedience, Adam incurred the sentence of death, both physical and spiritual. The meaning of physical death is obvious. Spiritual death involved the separation of Adam from God, both immediately and eternally. The effect of the fall upon Adam is apparent from his reaction when he “heard the voice of God walking in the Garden in the cool of the day” (Gen. 3:8). He and his wife “hid themselves from the presence of the LORD.” They were guilty, and they feared judgment. They knew that a holy God could not tolerate unrighteousness and that standing in His presence would mean certain condemnation. What was the Divine response to Adam’s transgression? Justice demanded the penalty of death. Yet God in His grace offered a means of redemption. Physical death would now be part of man’s lot, but the spiritual and eternal death incurred by Adam’s sin would be transferred to a Substitute. In Genesis 3:15 God promised to send “the seed of the woman” to “crush the head of the serpent.” This was a promise that Christ would come into the world as the Redeemer of men. In token of this promise, God did something very significant. Adam and Eve had attempted to cover the shame and guilt of their sin by sewing for themselves garments of fig leaves. This was a vain effort to make themselves presentable before God after they had disobeyed His commands. It was a form of covering their transgressions by the work of their own hands. After God promised to send “the seed of the woman,” we are told that He made “tunics of skins” and clothed Adam and his wife. The message was simple: You cannot cover your own sins. If you are to be acceptable to stand in My presence, I must provide a covering for your sins by sacrifice. The making of tunics of skins for Adam and Eve involved the shedding of blood – the first recorded instance in Scripture of animal sacrifice, which would become the central focus of the ceremonial worship of God’s people. Thus was established the link between worship and the Gospel. Worship is the communion of the creature with the Creator. This communion was broken by man’s fall into sin and its resulting corruption of his whole nature. God graciously provided a means for the restoration of this broken relationship, through the mediation of Jesus Christ, whom He promised to send into the world as Redeemer. The reality of this promised redemption became the central focus of man’s worship, the visible expression of which pictured God’s provision of Salvation through the work of Jesus Christ. If the making of tunics of skins by animal sacrifice was the first expression of Christ-centered worship, the attempt of our first parents to make themselves presentable by sewing garments of fig leaves made by their own hands was the first expression of man-centered worship. This has been the tension in worship since the fall. God declares that He may only be approached on the basis of His provision, and He frames worship on His own terms, centered upon the finished work of Christ. Man desires to approach God on his own terms, vainly imagining that his own inventions will be acceptable. The principle that man’s worship must be in accordance with what God Himself has prescribed is implicit in the first animal sacrifices. Adam and Eve could not restore communion with God by their own efforts but could only draw near to Him by His provision and on His prescribed terms. God’s prescribed terms centered upon, and visibly portrayed, His gracious provision of the means of restored communion through Jesus Christ. That this principle was clearly understood by Adam and Eve can be seen in the account of their two sons, Cain and Abel. What made Abel’s offering acceptable and Cain’s inadequate? Some have suggested that it was a matter of sincerity – that Abel sincerely offered the best of his flocks while Cain half-heartedly offered some of his produce. The real difference, however, was in the substance of the respective offerings. God had prescribed a bloody sacrifice as the means of entering into His presence. Adam and Eve’s fig leaves had not been sufficient. Now, Cain sought to approach God with a bloodless sacrifice, contrary to the Divine prescription, while Abel offered the firstborn of his flock – a visible representation of Christ in keeping with God’s requirements. Abel’s worship depicted the Gospel, while Cain’s illustrated pride in his own works. This is the classic formulation of the Regulative Principle of Worship. When you worship, you are not to look around at your neighbors in order to imitate what they do. You are to do what I command you – without addition or subtraction. In the subsequent history of Israel, God enforces this principle with the strictest of penalties for those who presume to add to or take away from His commands regarding worship. But why such strict boundaries? Notice once again the centrality of the blood. God had built into His prescribed worship the very message of the Gospel. Every detail was calculated to point them to the promised work of Jesus Christ. If they tampered with the details of God’s prescribed ceremonies, they would be distorting the very message of the Gospel and introducing into it the work of their own hands. In effect, they would be attempting to draw near to God by their own efforts and ignoring the provision that He made for them through Jesus. Like Adam’s fig leaves and Cain’s produce, their worship would be man-centered and unacceptable to God. Here is the connection: worship is designed by God to be a visible representation of the Gospel of Jesus Christ. To alter God’s commanded worship is therefore to distort the Gospel. Worship either pictures God’s provision or man’s work and efforts. With the advent of Jesus Christ, the long-awaited promises were at last fulfilled. Every detail, every nuance, every jot and tittle of the elaborate symbolism of Israel’s ceremonies found its perfect antitype in the Lamb of God who came to take away the sins of the world. Obviously, this would have profound effects upon the worship of God’s people. The detailed ceremonies – the outward and external types and shadows – were now abrogated and put away. Yet the Scriptures of the New Testament continue to emphasize that God alone determines how His people are to approach Him and counts all man-made traditions and commandments of men as will-worship and gross presumption. The underlying principle behind this truth remains the same – the authority of God to govern His Church according to His own word and to design the worship of His people in such a way that Christ has the preeminence. In Old Testament times, the preeminence of Christ was seen through the external types and shadows of the ceremonial worship, which testified of Him to the “church under age.” Today the preeminence of Christ is seen in the spiritual worship of the New Covenant Church, the absence of external rites and ceremonies bearing witness to the sufficiency of His Priestly work and the access to the heavenly sanctuary that He won through His sacrifice. While the outward form of worship has changed, the underlying principles remain unaltered. God is still the Ruler of His Church, Christ remains the central focus of her worship, and man’s inventions imposed upon her activities continue to obscure the perfect testimony of Christ that God has designed her worship to convey. Just as the detailed ceremonies of the Old Covenant visibly represented the promised work of Christ who was to come, so the simplicity of New Covenant worship visibly represents the completed and finished work of the Savior who has come and who has done all that was necessary to accomplish our reconciliation to God and restore us to communion with Him. 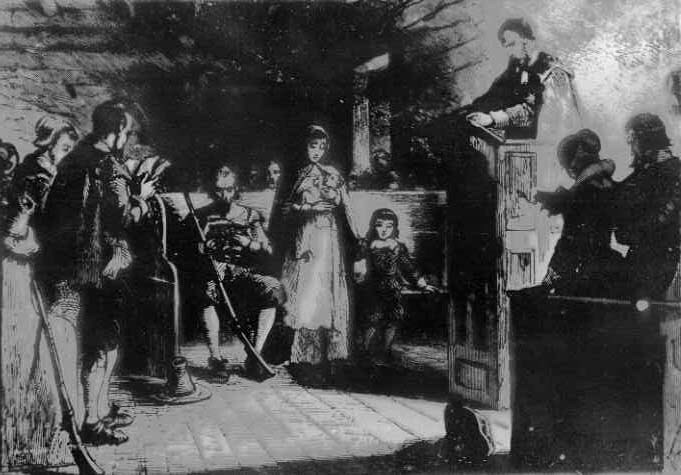 And just as the addition of un-commanded elements to the Old Covenant ceremonies, or the omission of commanded elements, amounted to a distortion of the Gospel which those ceremonies were designed to portray – so the addition of un-commanded elements to the simple, spiritual worship of the New Covenant obscures the truth that Jesus Christ has accomplished all that is necessary to present us to God. 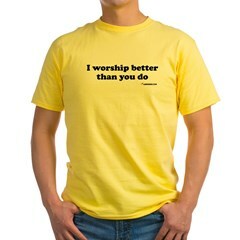 This is the problem with Romish worship. By adding a host of outward elements and outward rituals to the worship of God, Rome obscures the Gospel and keeps its adherents dependent upon their own works and the ministrations of their priests. Evangelical worship likewise obscures the pure message of the Gospel when it incorporates elements and activities calculated to appeal to the external senses and which proceed from the imaginations and traditions of men, for in so doing the impression is given that God is pleased and honored by what men do, rather than communion with Him depending solely upon the sufficiency of the completed work of Jesus, whose once-for-all sacrifice has forever done away with the outward elements once required, and replaced them with the surpassing glory of a simple, spiritual, Christ-centered worship.